Getting ready for digital marketing is like preparing for an adventure. The greater your aspirations, the more planning and preparation needs to go into your efforts. Get your company ready for digital marketing by taking these seven keys into account. There’s a saying that if you don’t know where you are headed, any road will get you there. If you are setting out to refresh your website or get a few more visitors, you can likely hire a freelance designer or SEO specialist to help. 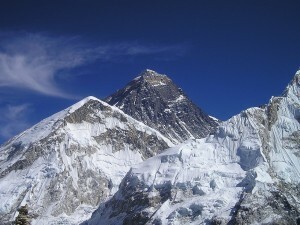 If your goal is more on the order of scaling Mt Everest, you’ll want professional guides to assist you in the journey. Have you visited your company’s brand in the last five years? If not, take the time to review your brand strategy and guidelines. Without a solid brand strategy, your digital marketing initiative will hit roadblocks and face setbacks. Digital marketing does not happen in a vacuum. Successful programs integrate tightly with the overall marketing plan in order to support the sales goals. Having a written plan will speed up the time required to build a digital marketing strategy. A plan is only as good as the people who are responsible for implementing it. Building a cross-discipline team focused on business growth is a proven strategy for successfully reaching goals. If you have not already created buyer personas, take the time to do that as part of your preparations. Unlike a sales person who can adapt to each individual, your marketing materials do not have such flexibility. By knowing more about your prospects, you can better relate to their needs and challenges. As buyers become more empowered, they are taking more of the sales process into their own hands. If you don’t help them with the initial steps of their journey, a competitor will. One of the most useful ways for digital marketing to support sales is by understanding the sales process. This allows digital marketers to better support your sales team as well as prospective customers. Unless you are a new company, this is not your first time doing digital marketing. Even if you only have a website, you can use tools such as Google Analytics or HubSpot to help establish baseline metrics. You cannot improve what you cannot measure. What challenges have you faced in reaching your digital summit? At Knowmad, we help companies plan, prepare, and undertake the journey to digital marketing success.